Merriam-Webster defines "consort" as, "A wife or husband especially of a king or queen." 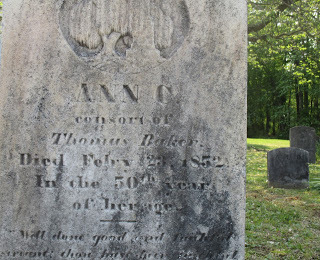 When you walk through the graveyard in front of the red brick Bond Chapel on the Quaker Neck Road in Chestertown, you discover not one but two gravestones which employ this royal term in describing the nineteenth century matrons who were buried there. Of course these deceased wives were a little different than Queen Taisi (1099-1050BC) who was the consort to King Wen of Zhou. Drive further down Quaker Neck Landing Road and you will come to a cul-de- sac facing a small harbor that's a reminder of life lived at a totally different pace and scale than most people are capable of experiencing, even in rural areas today. The old graveyards, harbors and churches which dot small villages like Chestertown and Rock Hall are vestiges of a way of an existence that's kept alive due to maritime traditions and an indigenous culture that, in some cases, hearkens back to Indian times. You have ghost towns and deserted communities which have died due to the loss of an economic base and where time has come to a halt. However, what's miraculous here is the way that the past is kept alive, while the world of the future lurks only steps away. Neither off the beaten track, nor in the mainstream of tourism, shipping or industry these Chesapeake Bay villages on the Eastern Maryland Shore have managed to maintain a fragile balance in which the manners, mores and traditions of a bygone era harmoniously co-exist with the modern world.